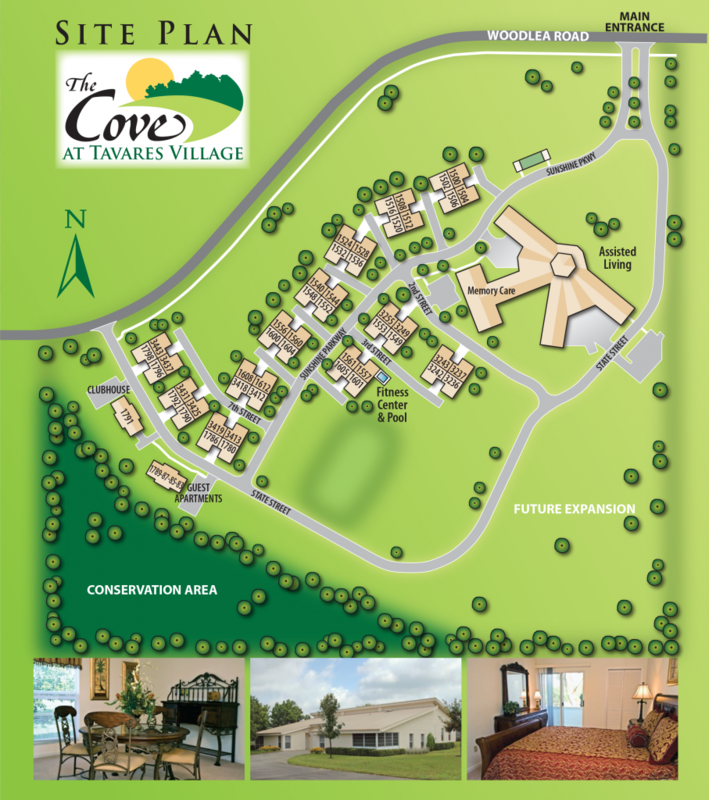 Independent Living: Our independent living facility includes a spacious villa with a kitchen, option for one or two bedrooms, large closets, 1.5 baths, screened porch or bonus room, and a one car garage. Memory Care and Assisted Living: Private or semi-private rooms, home-like atmosphere, secure environment including walking paths. 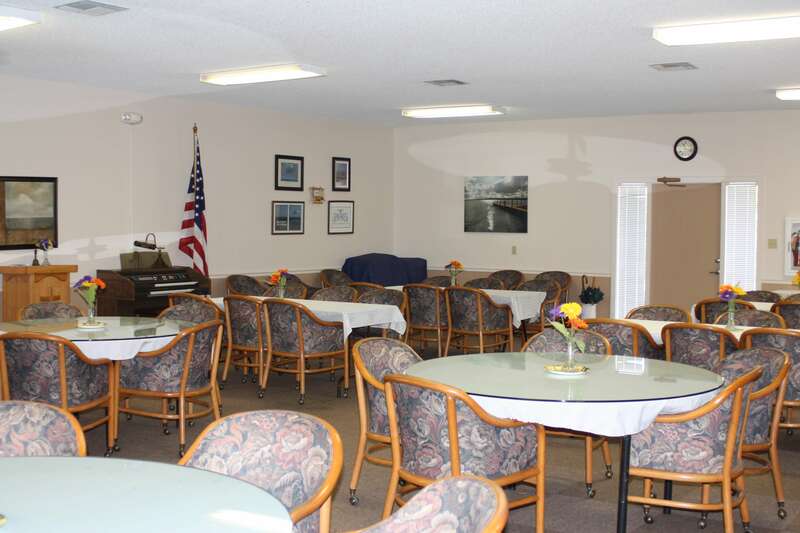 Multi-Purpose Room – All residents have access to our multi-purpose room for community events such as themed parties, plays, live music, and worship services. Residents Clubhouse – Independent and assisted living residents have access to our clubhouse for social and recreational activities such as games, holiday parties, and guest speakers. Residents have the ability to book the clubhouse for private events. Outdoor Areas – All of our residents can enjoy the outdoors at our patio, fountain or courtyard areas. Dining Room – Our residents can enjoy up to 3 delicious meals from our dining room. Beauty Salon – Residents can have their hair cut, perms, coloring, beards trimmed and more! Fitness Center and Swimming Pool – Independent living residents have access to our well-equipped fitness center and swimming pool!